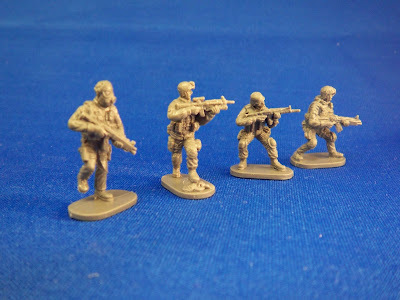 H061 Special Forces World Wide is the latest set from Caesar Miniatures. 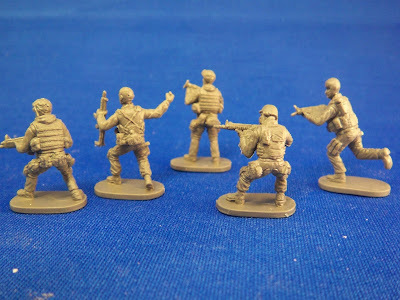 This is another great set from Caesar in 1/72nd scale plastic. Caesar is the most consistent figure maker of all. Their figures are always the same size, the same style, and excellent. 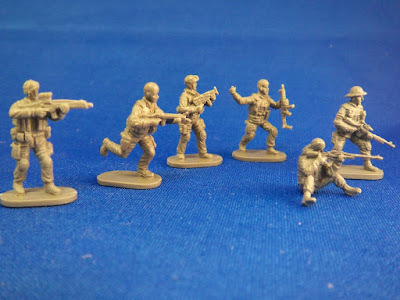 These figures appear to be a mixture of Russian, American and British military and police forces. They are armed with assault rifles, sniper rifles, pistols and submachine guns. This guy is armed with a hand gun and carries a ballistic shield. The shield is a separate part but he looks good without it too. The shield fits okay without gluing but I glued mine because it won't stand up to handling without glue. When SWAT teams make entry they are often lead in by a man with a ballistic shield armed with a hand gun. 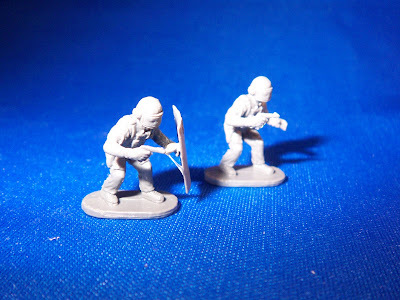 Some of these guys will work well with the Caesar SAS, some will work well with the two Caesar Modern US Army sets. 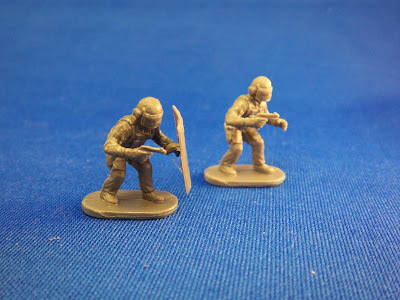 All of them can be used to combat the various Caesar Terrorist and Partisans sets. So far I have one of these, but will probably get at least one more and maybe three more as I continue to look for more uses for them. Remember all Caesar sets are limited production and won't be around long. More photos of these figures later.